Thousand Hills Riding Stable started in 2008, when Yvonne Toone realized there was a need for families with very young children to be introduced to horses. Yvonne is a Certified Horsemanship Association Level 2 instructor as well as a mother and Licensed Veterinary Technician. 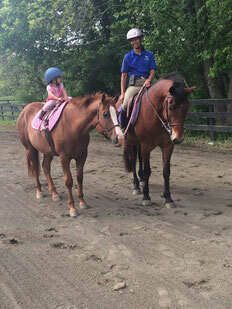 She has been teaching since 2006 and has a passion to mold the next generation of equestrians. We are located right in the middle of horse and wine country in Delaplane, Va. conveniently off Route 66 at Exit 27. 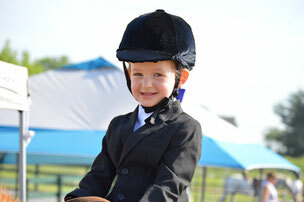 Thousand Hills Riding Stable provides a down home country environment for your child to learn the art of horsemanship. We invite you to bring the family and a picnic and enjoy our beautiful property. We provide boarding, riding lessons, events such as trail ride lessons and coaching at local horse shows. Our ponies are safe and loving. They will not only teach your child to love horses but they will touch their hearts. You will most likely be greeted with a nicker every time you visit. Our ponies look forward to each and every child. We specialize in teaching children as young as two years old and therefore only offer private and semi-private lessons. Lessons can be scheduled in 30, 45 or 60 minute sessions. Lessons include all aspects of horsemanship from the ground as well as in the saddle. ﻿See our lesson package page for a coupon. To sign up for our monthly news letter and other events, please send an e-mail to thrsllc@yahoo.com.